Don’t panic — when you see blood in your dog’s urine, repeat those words. It can be a scary thing when you see a pink or reddish tinge to your dog’s pee, but now isn’t the time to freak out, it’s the time to take action. 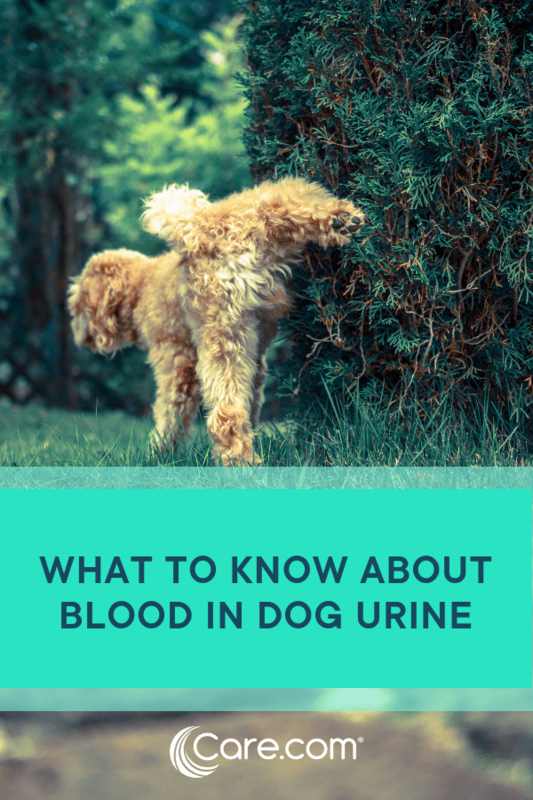 There are some important things you should do when you spot hematuria, the technical term for blood in dog urine. First and foremost, get your pet to the vet. If your dog is also experiencing lethargy, decreased appetite or vomiting, is unable to pass urine or is passing urine at a small volume or experiencing weight loss, a visit to an emergency veterinarian is recommended. To ease your worries, you should also know this: Most of the causes of blood in dog pee are treatable. Bacterial urinary tract infection: This is one of the most common causes of hematuria. 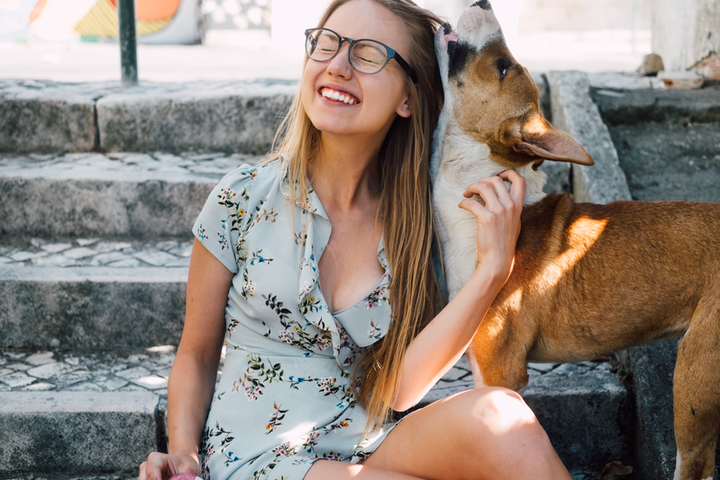 "These are more common in female dogs but can occur in any dog," says Dr. Danel Grimmett, a veterinarian at Sunset Veterinary Clinic in Edmond, Oklahoma. A urinalysis and urine culture are initial diagnostics performed to diagnose a urinary tract infection. Urinary tract infections aren't pleasant, but they are usually treated with a simple round of antibiotics (chosen based on sensitivity results, Cleroux adds). Trauma: Trauma patients, such as animals hit by cars, can suffer various injuries, including hemorrhage within the urinary bladder. Neoplasm: Transitional cell carcinoma is the most common type of cancer that affects the bladder. It is most often located at the level of the neck of the bladder and leads to clinical signs such as hematuria, pollakiuria and stranguria. Feline idiopathic cystitis (cats): This condition is a sterile (no infection) inflammatory condition of the lower urinary tract that is characterized by clinical signs such as periuria, hematuria, stranguria, dysuria and/or pollakiuria, with or without urethral obstruction. 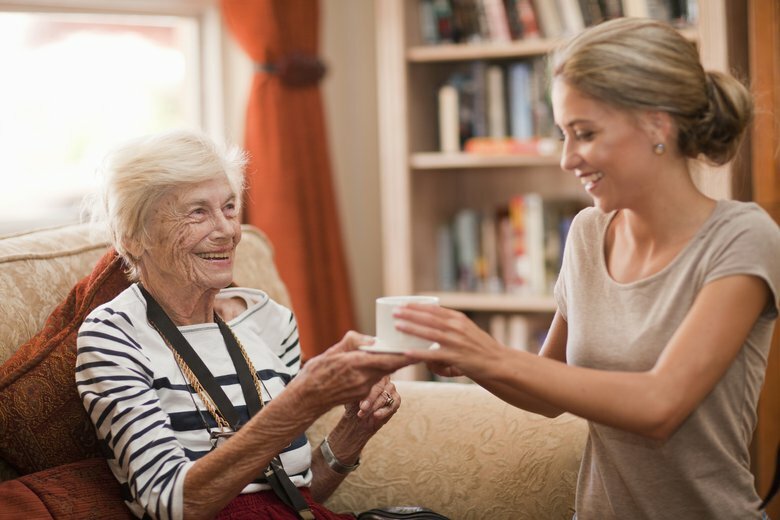 This condition remains poorly understood, and the term "idiopathic" means that we do not currently understand exactly why this condition occurs. Prostatic disease: Diseases of the prostate, such as prostatitis (inflammation/infection of the prostate), and prostatic cancer, can cause hematuria due to its close relation with the lower urinary tract in male dogs. Coagulation disorders: A number of coagulation disorders affecting the coagulation cascade can affect the body's ability to prevent bleeds and lead to mucosal bleeding, including bleeding of the lining of the bladder leading to the presence of blood in the urine. Idiopathic renal hematuria: This is a rare condition where a bleed occurs at the level of one or both kidneys. The underlying cause of this condition is unknown. "Even tick-borne illness or anything else that interferes with the pets' clotting ability can be the cause of blood in the urine," says Grimmett. While some of these diseases are quite serious, others only require some medication or monitoring. As such, remain calm until you know the cause and understand your dog’s prognosis. It’s also important to note, says Cleroux, that some conditions can cause “pigmenturia,” which is the presence of pigments (hemoglobin or myoglobin) that can cause a red discoloration to the urine. Once you’ve had that initial freak out, give your veterinarian a call. 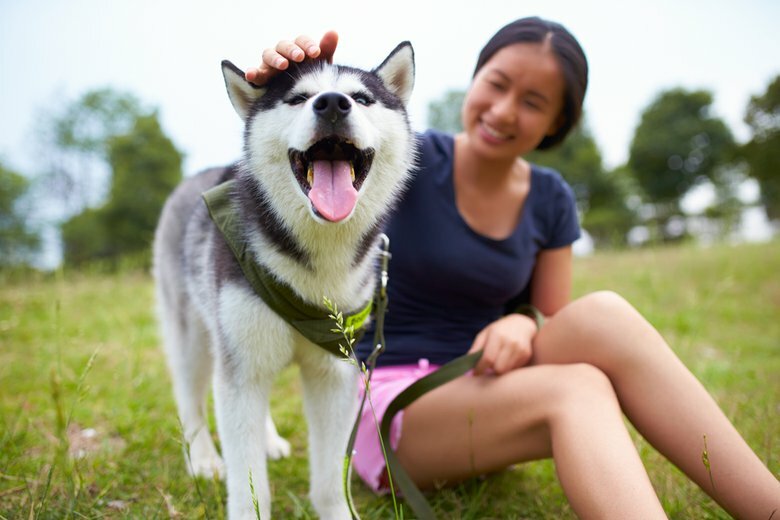 "I would recommend bringing your dog in for an appointment as soon as possible, ideally that day," says Dr. Sarah Tasse, a veterinarian with Pet Health Network. 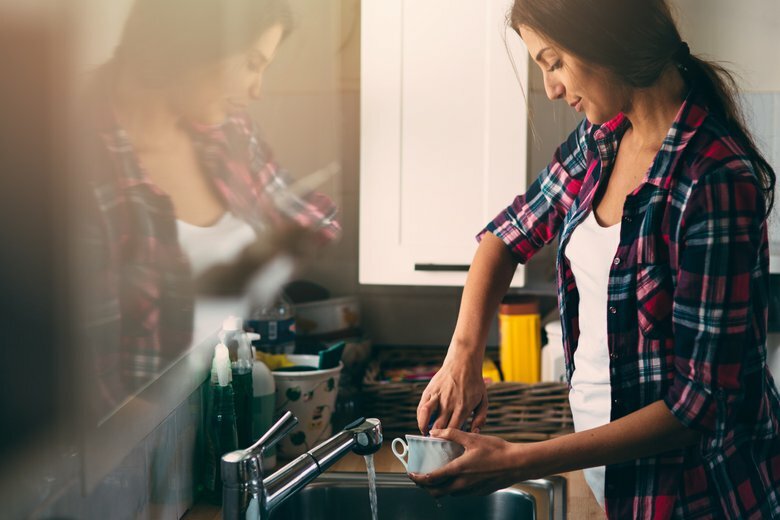 As some causes of hematuria can be quite severe and require immediate treatment, it's always better to play it safe and reach out to a medical professional as soon as possible. 2. Gather your pet's medical history. After you call your veterinarian, you should prepare any medical documents that may help in diagnosing your pet. If any bloodwork or other diagnostics have been performed in the past, it should be brought to the visit, Cleroux recommends. If you are going to an emergency clinic or seeing a new vet, bring your pet's vaccination history to your appointment along with any other medical records, such as previous diagnostic test results and information on any prescribed medication. "This will allow your veterinarian to have the most complete picture and will help determine the cause," says Tasse. If you keep up with regular vet visits, your pet should have already been screened for kidney disease as a part of the chemistry panel on her blood work, and these test results provide information that is vital to your vet's diagnosis. 3. Collect a urine sample if you can. Your veterinarian may request that you bring in a sample of your dog's urine. Though it's ideal to collect a fresh sample during the appointment, "it is often helpful if you can collect a sample at home in case your dog's bladder is empty when you bring her in," recommends Tasse. In an effort to prevent your pet from urinating on the way into the office, you should either carry her or rein her in on a leash so that she doesn't have a chance to sniff and pee. 4. Let the test results help your vet determine the cause. Once you’re at the vet’s office, your veterinarian will likely perform a complete physical exam. According to Cleroux, the initial diagnosis should include a urinalysis and urine culture. Bloodwork (including complete blood count, chemistry panel) and imaging of the urinary tract may be performed also. As mentioned above, hematuria can result from a number of causes including irritation, inflammation and infection, amongst others.